We invite you to learn more about our institute and our programs, both full-time and part-time.May Allah swt bless you now and forever. 3 Month Structured Part time Islamic Courses for adults Select from a wide range of disciplines. The Arabic & Islamic Sciences Institute (AISI) established in 2017 in India, is an independent, full-time residential educational Institution aimed at providing its students with an education in the sacred and intellectual foundations of Islamic heritage. Growing from its humble origins the Institute now educates boy/men and girl/women on separate campuses..
At AISI We Endeavour to benefit not just those in the future. All parents must ensure that their children wear simple and modest clothing which loosely covers the whole body. The dress code for boys is white Thoube and for girls is black Hijab and Jilbab. 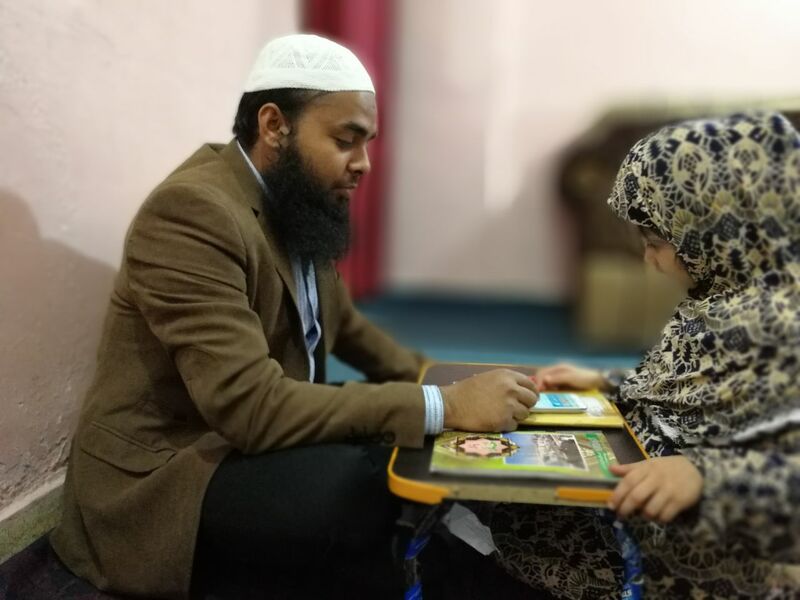 The Arabic & Islamic Sciences Institute (AISI) established in 2017 in India, is an independent, full-time residential educational Institution aimed at providing its students with an education in the sacred and intellectual foundations of Islamic heritage. Growing from its humble origins the Institute now educates boy/men and girl/women on separate campuses. Offering two full-time programs- The Hifz-ul-Qur’an Program and Alimiyyah Program- AISI follows a classical method of instruction, emphasizing close teacher-student interaction and focusing on textual transmission and analysis. The Institute secondarily offers weekend and evening programs for young and adult learners. The AISI Weekend Islamic School is a packaged course which includes Qur’an, Arabic and Islamic Studies. In order to create an atmosphere of correct Islamic morals and etiquettes, our classes are taught in gender segregated environments on separate days. All students must bring a packed lunch, however please note fizzy drinks, sweets and crisps are not permitted. Uniform will not be required except for the compulsory AISI Weekend Madrasah students bag, however all parents must ensure that their children wear appropriate simple and modest clothing loosely covering the whole body.